What payment gateways should I use? How should I handle trademarks, patents and copyrights? Are there any shipping restrictions to get products to my customers? What are the lease requirements for holding inventory in my building? Figuring out sales tax laws adds yet another layer since rules they vary greatly from state-to-state. This is compounded by the fact that e-Commerce business owners often appeal to a much wider target market because of the very nature of their business structure. If you need help figuring out taxes for your e-Commerce business, then you’ve come to the right place. There are a number of things to consider when you open up an e-Commerce store. A top priority is sorting through state and local sales taxation laws. Here’s why. Among the governing bodies tasked with exploring e-Commerce sales tax considerations was U.S. Advisory Commission on E-Commerce. The 19 member advisory panel was created in October 2001 as a stipulation of the Internet Tax Freedom Act, which implemented structure around researching the impact of taxation on e-Commerce and the national and global economy. In an April 2000 report to congress the panel called sales and use tax considerations “one of the most fundamental issues before the Commission”. The fundamental piece of the taxation puzzle this group set out to solve is how to collect taxes. Today, the convention is that e-Commerce business owners must collect taxes in any state where they have a physical presence, or nexus. This can make things more tricky when e-Commerce businesses have a headquarters in one state and inventory and distribution in another, or even several others. State-by-state rules on sales tax apply to all businesses regardless of size and whether or not there is a brick and mortar location. Notwithstanding, Alaska, Delaware, Montana, New Hampshire and Oregon are all states that don’t have sales tax. Subsequently businesses that are headquartered or have inventory stored in these states are not required to collect sales tax on in-state transactions. Sales taxes are usually collected quarterly, and failure to comply with the tax schedule could lead to costly fees. Location: An office, warehouse, store, or any physical place of business. Home State Nexus: You will always have a nexus in your home state. Personnel: An employee, contractor, salesperson, or anyone doing work for your business typically creates a sales tax nexus. Inventory: Maintaining stock in a location in a state will likely create sales tax nexus. The above definition “any state where they have a physical presence” needs some context. Initially, nexus described any place where a business occupies physical space, but in the age of e-Commerce, there are more layers to consider. In fact, as you grow your e-Commerce business, you may be triggering a sales tax nexus without even realizing it. Nexus by way of activity: An activity could be a trade show, delivery, service call or other revenue generating event that expands your physical presence beyond reasonable boundaries of dominion. Nexus due to vendor hosting: A hosting service that manages an e-Commerce website in a different state from the e-Commerce retailer can create a taxable nexus. Nexus by way of other affiliates: e-Commerce retailers should be aware of how their affiliations can create a nexus for them. For instance, a marketing agency in another state that helps generate new revenue has the potential to create a nexus. A drop shipment occurs when you have distributors ship items directly to buyers. In traditional business formats, these types of transactions are usually tax exempt but that’s not always true for e-Commerce businesses. In the world of e-Commerce a retailer must pay sales tax to a supplier if the supplier is registered in the state they are shipping to and the retailer is not. The exception only occurs if a tax exemption has been issued to the retailer, in which case proof of such exemption is required. You may be reading this and wondering if your business is truly sales tax compliant. But don’t fear, you aren’t alone. In fact, the 2 million sellers that transact across Amazon’s platform every day have had similar concerns. In response, the company issued an e-Commerce taxation handbook available online for free. This is a good resource for any e-Commerce business even those not on Amazon. Tax law can be confusing. To make matters worse, taxes are collected differently state-by-state and country-by-country. For instance, in New York clothing retailers must collect a special tax on all sales, and in California anything sold in a plastic bottle carries an $0.11 tax. That’s just the beginning of a nuanced web of tax laws that could impact your business. To make sure you fully understand tax law it’s always important to organize your business with a trusted advisor, like the accountants at Ignite Spot. Once you have determined that there is a sales tax nexus, you must register for a permit. This will allow you to collect sales tax as well as file for the taxes you’ve collected. In many states, it is illegal to collect sales tax with a valid permit. Once you’ve registered in each state that you have a nexus, you will need to determine what percentage of sales tax applies to your products. This could vary from state-to-state, so e-Commerce retailers are cautioned to do their research on applicable tax law. After a permit has been received, it’s time to start collecting taxes. The total tax amount must be listed separately from the total cost in the United States. Your e-Commerce shopping cart should be programmed to assist with this function in states where you have a nexus. In all other states that have sales tax, e-Commerce retailers are not required to collect and file them. The onus of responsibility to pay sales tax on online purchases then falls on the consumer to file with the state for items they purchased. Legislation like the Marketplace Fairness Act of 2013 has been introduced to shift the responsibility onto the seller from the consumer, but consumer awareness of and compliance with this law is lowe. It’s important for e-Commerce businesses to keep records of the taxes they collect, if for no other reason than to protect themselves from error. Most online accounting systems can be set up to record this information. E-Commerce businesses must file quarterly reports of sales tax with payment. This can often be done online, but methods varies from state-to-state. At this point, it’s pretty clear that differences in state-to-state laws can make handling taxes a very complicated process for small e-Commerce business owners who already have a lot on their plate. Laws don’t change based on size, so giant online retailers are held to the same sales tax regulations as sole proprietors. Also, depending on your business structure there could be additional stipulations for filing. This may be one of the most foundational reasons that e-Commerce business owners seek an accountant around sales tax time. Hiring an outsourced accounting service saves time, money and all-in-all relieves businesses of the stress of doing it alone. When you hire an accountant you have an opportunity to ask important questions to ensure that you have a stronger understanding of the tax code and other accounting topics. This expert advice that you wouldn’t otherwise have access to can lead to smarter business decisions and a better understanding of how your business functions, all while taking applicable tax laws into consideration. The right accountant will help their clients achieve their growth goals, even if it starts with just taking quarterly sales taxes off of their plate so they can focus on big picture strategy. The relationship could lead an e-Commerce business owner to take advantage of other accounting services that position their business for future growth. Like many small business owners, e-Commerce retailers have their own methods of documentation and record keeping. Sometimes it’s a little sloppy. Think: shoebox under the bed. 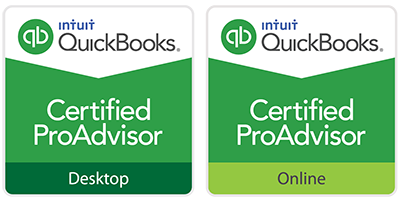 Working with a trusted accounting service will help businesses get organized and stay that way for each quarterly and annual tax season. A good accountant works hard for you. But for small businesses owners in any industry it can be difficult to relinquish control of the financial part of the business. Hiring an accountant to take on the stress of tax times woes helps business owners learn to delegate when they need it most. By partnering with someone they can trust, they learn to seek advice from experts who have a lot to offer. 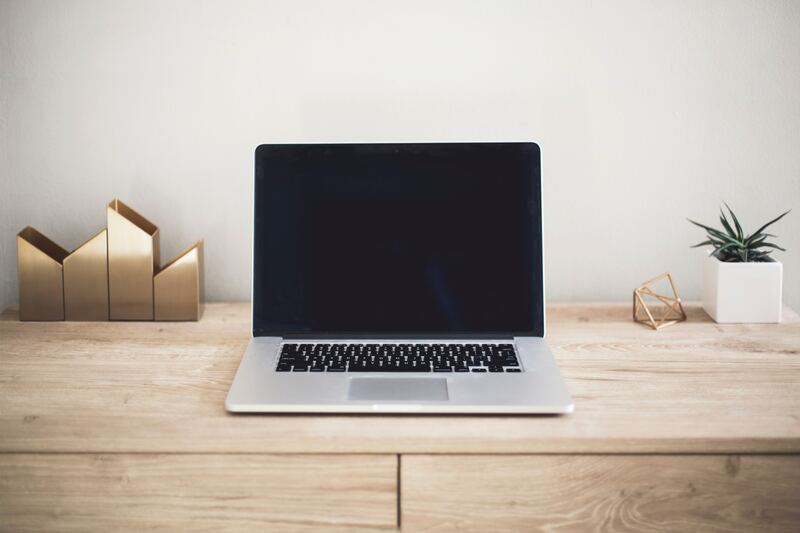 As an e-Commerce business owner you do all of your business from behind a computer. If you choose outsourced accounting services like those offered by Ignite Spot, you can customize our tools to your business needs. As your business grows, so too can the scope of work that your accountant provides. For as long as e-Commerce has been around, legislating bodies have been questioning how to tax the sale of products to a market that has increased exponentially due to globalization. The intricacies of sales tax laws are writhe with expanding definitions and pending legislation, making it a complicated process for small business owners who are just trying to do the right thing. The first thing businesses need to do when it comes to sales tax is ensure compliance in all places where they may have a nexus. Next, they should register for a permit and file quarterly taxes. In addition, keep in mind that the impact of partnering with an excellent accountant for e-Commerce sales tax preparation is far-reaching. 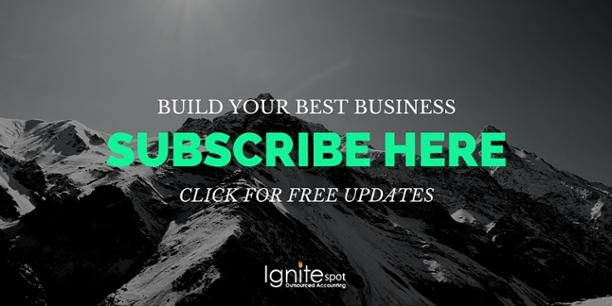 If you want to speak with an advisor who cares about small business and helping your e-Commerce company grow, contact Ignite Spot today.